August was rough. We were expecting a great month; our permits granted us most Saturdays and Sundays in July and August. 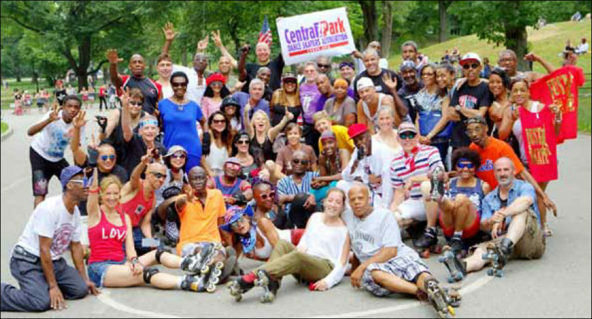 We were supposed to be in the Park from the last week in July until the last Saturday in August when the Central Park Film Festival kept us from skating. What we didn’t count on was the weather. Starting in the last week in July, rainy weekends and a brutal Heat Wave kept us from skating. On Saturday, August 13th the National Weather Service issued a heat advisory and recommended against strenuous outdoor activities. Temperatures in Central Park were around 95 degrees and with the dense humidity the “feels like” temperature was around 106º.